Hello everyone, my name is Josh and I have decided it’s high time to start blogging about things in life, religion, and just in general, so let’s start with an ice breaker. 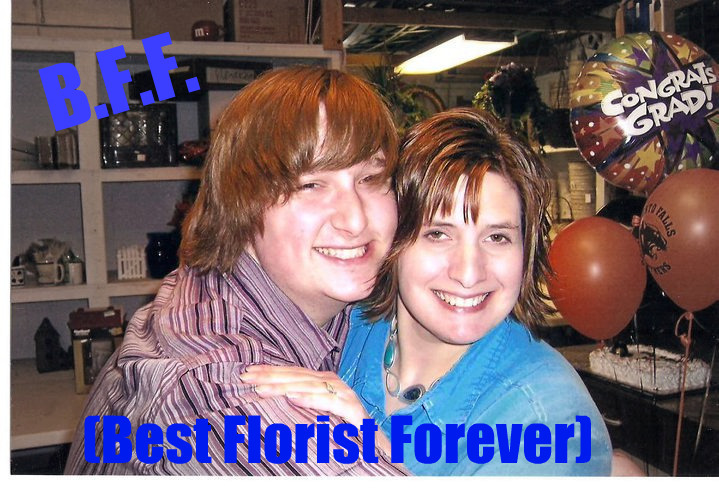 I’m 21 years old and a florist at Schroeder’s Flowers in Allouez, Wi. I have lived in Abrams my entire life thus far and feel that it is home. Abrams is a town, yet it’s still country enough where you feel the freedom of being able to walk outside at night and just breath deep and feel that tomorrow is going to be a better day. My entire life has been one big roller coaster ride that has almost come to a crashing halt many of times. I do live at home with my parents still, and am trying to create a stable living situation before I decide to move. I have a half brother, Jesse who is 28, and a sister, Rachael who just turned 18 this past December. My relationship with my family has not always been the greatest, even as a child I do recall many time not wanting to come because the fact of the lack of love I felt. I, nor my sister were up to state regulation, we were both held back, I in 4th grade, and my sister in 1st. We attended St. Mark for five years for me, and seven for my sister. Growing up I was very close with my great-grandmother up until her death in 2000. She had fought with a tumor for about two years, being moved from caregiver to son to daughter then nursing home, she eventually lost the will to live and slowly faded out of this world. I still recall the day when we went to go visit her in the nursing home. I was ten and had yet to experiance real death. Growing up going to a church I knew that death was a natural part of life, and had been to many funerals in less then a decade, but to see the cold sting of death’s grip so up close and personal with some one you love and hold dear, I was not ready for it. I was hurt for a while after she had pasted but continued on with life as any normal kid would have. After this I became close with my grandmother. 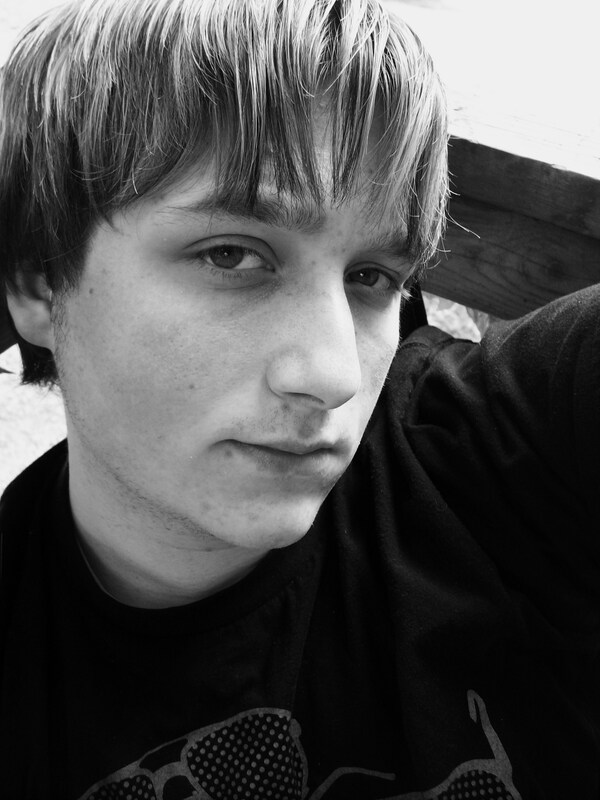 During my early teenage years, I always felt different and weird. I never felt like I quite fit it and felt like the odd duck out. I had made some friends at St. Mark, but no one around Abrams to talk to. Abrams being 25 miles from Green Bay, is hard to do things with friends at the drop of a hat. When 7th & 8th grade came around, it was time for confirmation classes. We learned, not so much about the Bible or about God, but rather don’t do this, don’t do that…. ( which is normal for a confirmation class) but what got me was what we went into next, other denominations. Ever denomination had a flaw, nothing was good about the Catholic Church, the Methodist Church, the Baptist Church, the Anglican Church, etc… and on and on about how ( without directly saying it) every one from a different denomination was going to hell. Well this got me thinking, ” well if everyone who isn’t Lutheran ( excuse me, WELS Lutheran) is going to hell, why aren’t we bothering to help these people. At this point in my life I was so anti- Catholic and also other denominations because of what I was taught. I can even recall my mom’s other friend( who was a Catholic) call looking for my mother and I end up telling her how her prayers to Mary is sending her to hell, and the pope and extra books in the Bible , etc, was damning her to hell. After she had given me logical explanation, I came to the conclusion, not so much that I was to be Catholic ( at this point) but to denounce my faith as a Lutheran, because if there are that many people going to hell over the dumbest things, I might as well join them. I told my mother I was not going to be confirmed into a hating faith, and to my surprise , even though upset, did not force me. I told her I had soul searching to do. I looked over every religion there was, Hindu, Buddhist, and a couple others, but still found myself back in my roots of Christianity. I claimed one week to be a 7th Day Adventist, I was going to be Baptist, I was going to be all these things, EXCEPT LUTHERAN AND CATHOLIC. and so my search continued….